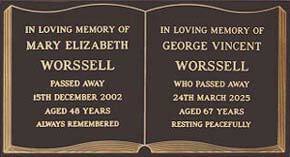 Gympie Funerals offer a wide range of high quality engraved memorial plaques that allow you to create a special tribute to a departed loved one. 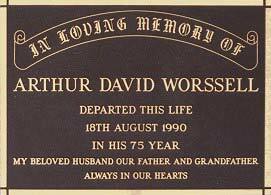 Our plaques are made of cast bronze and are individually prepared by master craftsmen.You can view examples of some of the designs in our memorial plaques range below. 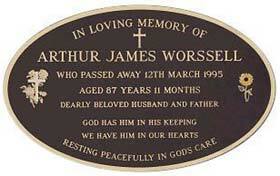 We encourage you to visit our offices to view examples of these plaques in person and discuss the wording you’d like to use (we can provide assistance with this). 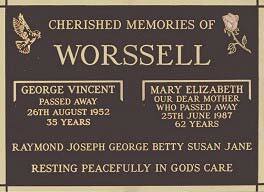 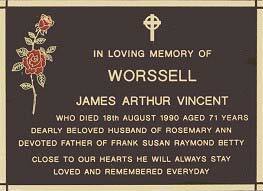 The price of any memorial plaque depends on both the size of the plaque and number of words used.